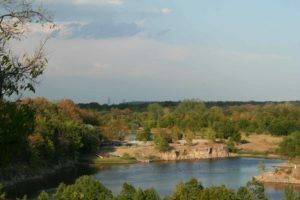 Located about 15 minutes outside of Tulsa, Ok, is Meadowlake Ranch. 1,000 acres of picturesque rolling hills and a peaceful, spring fed, lake. Meadowlake Ranch is a popular spot for retreats and weddings, but also hosts hunting, fishing, horseback riding, canoeing, and even tomahawk throwing activities. 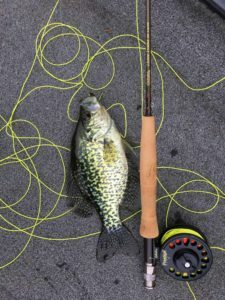 For more information about Fishing at Meadowlake Ranch and more, check out the events page here. But Bass is not the only fish that swim in the water around here. Crappie, Trout and Catfish are also common fish species. Historically, Oklahoma Bass fish are easiest to catch in the months of late February to March. This is because of the warming water that causes a rise in water level. When the water rises, largemouth in particular, comes out of the deeper water and feeds aggressively. But that doesn’t mean there is nothing to catch in the summer and spring months. It just requires a few more tricks to catch the big one. In the warm months, when the water’s surface temperature rises, the big fish seek shelter in the deepest, cooler waters. This is when fish scanners and highly-sensitive rods come in handy. But to get down to the big fish, heavy weights are needed. Otherwise, your lures will be stuck at a higher water level where all the small fish are. But be warned, with a heavily weighted line, make sure your bait is well attached or you’ll be fishing with blanks. Any large sized catfish feeds off of other fish, meaning that if you want to catch a catfish, you need a fish on the line. Good fish to use are minnows and goldfish, which can be purchased at most bait shops. Live fish as bait is also a great option as they will draw in more attention from the catfish. 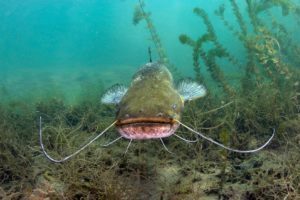 However, if you aren’t looking to catch the biggest of whiskers, smaller catfish aren’t as particular about their bait. For them, simple night crawlers or crayfish are just what you need. You don’t need to catch the big one, the smaller guys are just as tasty. If you are looking for a fun get away this weekend with the family, that doesn’t require going away, Meadowlake Ranch is a great option. Just load up the car with a few poles and some sun protection and enjoy a day out fishing with the family. The lake is stocked with fish of all sizes to meet all the sizes of your family. Plus, what beats the look on your kids face when they real in a catch? After enjoying a lovely day Fishing at Meadowlake Ranch, you and your family can enjoy one of the other many amenities that Meadowlake offers. 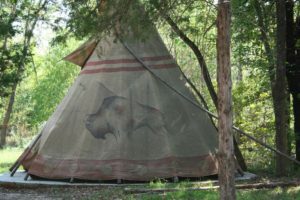 Whether it is staying overnight in a tepee or a cabin, going on a hayride, or participating in any of the ranch activities, you will be in for a good time. For more information on activities and Fishing at Meadowlake Ranch, contact them here.